Italian food is well known around the world. Beyond pizza and pasta, Italy is home to many classic desserts and cakes. Each cake has its own history, facts, and cultural significance or holiday associated with it. Enjoy baking (or just eating) these tasty treats. The Neapolitan Babà is a descendant of the Polish babka ponczowa. The name means old woman or grandmother. This cake is very typical in Naples and you will see its distinctive mushroom shape in nearly every pastry shop. It is soaked in rum with a spongy texture, making it great for breakfast or after dinner. It is so beloved that a common phrase in Naples is, "si nu babbà," which translates to "you are delicious." This Sicilian cake is one of the world's first cheesecakes. The word cassata may derive from the Latin word caseus, which means cheese. But some also say it's from the Arabic word qas'ah, indicating the terracotta bowl in which it is shaped. It's made with fresh sheep's milk ricotta, although you can use cow's milk ricotta. It's found in all areas of Sicily. The cake is an extraordinarily rich delight that also manages to be light and easy to digest. Pandoro stems from pan d'oro, meaning golden bread. It was a bread reserved for the wealthy, made with eggs, butter, and sugar or honey. Pandoro symbolizes Christmas in a very literal sense. The cake is shaped like a craggy mountain topped with snow-white confectioners sugar. It's difficult to make and therefore most Italians prefer to buy commercially produced Pandoro from their local bakery or supermarket. They are made in a high-sided mold that is tapered so it produces a star-shaped cross-section usually with eight points. Panettone means big loaf. Like pandoro, it's a tall cake that relies on yeast to raise the dough and it's a traditional Christmas-time cake. It isn't easy to make as it takes a long process with multiple risings of the dough. It is a classic for the area around Milan in northern Italy. 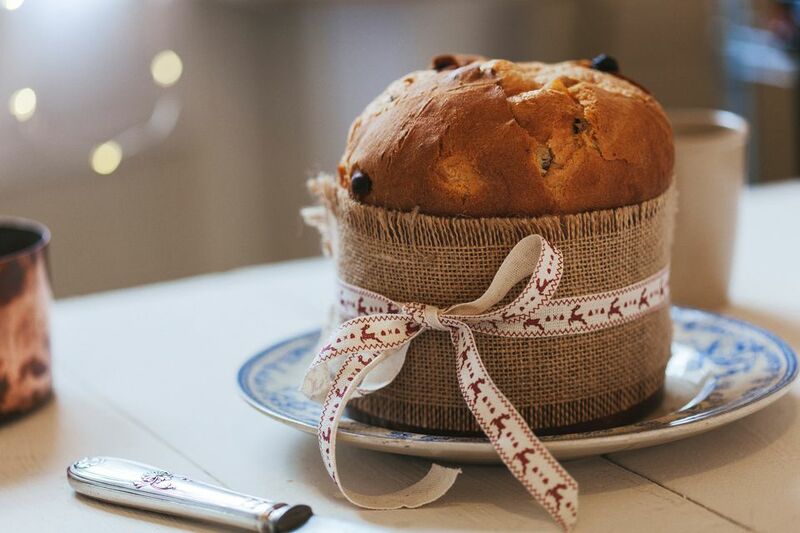 Next December try making your own panettone with a classic Milanese recipe. The name of this layered pastry means a thousand leaves. The traditional puff pastry used is folded and can yield hundreds of layers as it separates after baking. It is also known as the Napolean. Millefoglie became popular during the reign of Emperor Napolean I of France. No matter how you slice it, it's an airy dessert that makes a great birthday cake. The name Schiacciata Alla Fiorentina means "white flatbread cake," which sounds rather dull for a cake traditionally eaten during Carnival time prior to Easter. It's an amazingly tasty cake that can be made at home. This sweet layer cake is typically eaten to celebrate Ferragosto, the mid-August celebration of the Assumption of the Virgin Mary into heaven. It can be filled with either cream or fruit preserves.